and properties are the same as the STRAUB-FLEX. The great advantage of STRAUB-OPEN-FLEX is that it can be fitted to existing pipes in situ, without any need to remove and re-lay the pipes. 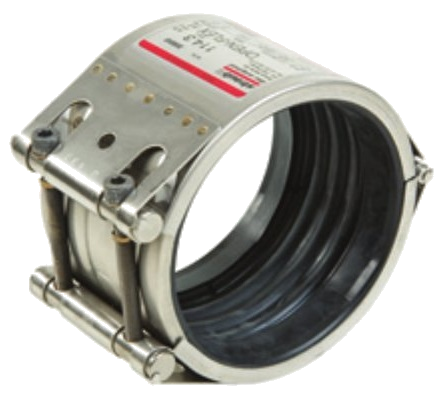 This makes it the ideal solution for permanent repairs of pipe joints, cracks, etc. Simple and reliable.